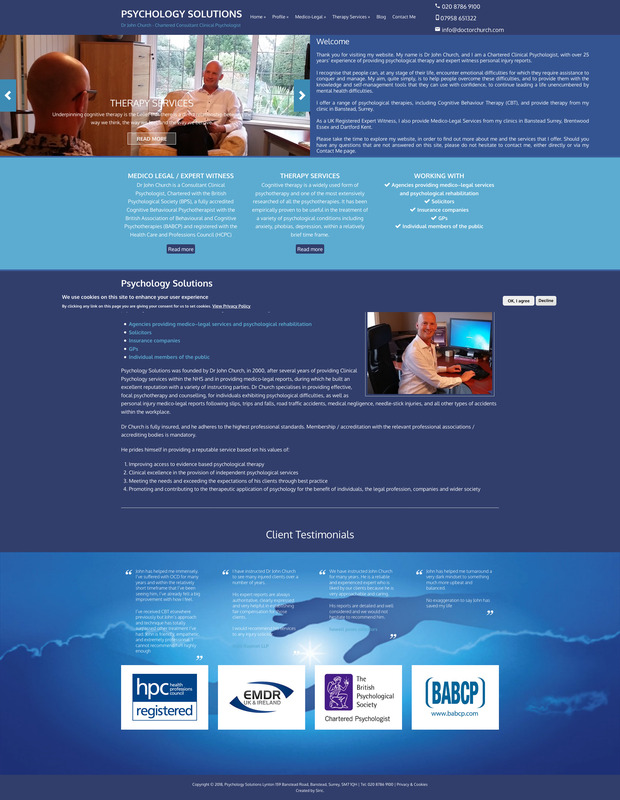 Dr John Church is a Chartered Consultant Clinical Psychologist widely recognised in his field providing psychological therapy to individuals, and psycho-legal expertise to agencies providing medico–legal services and rehabilitation. 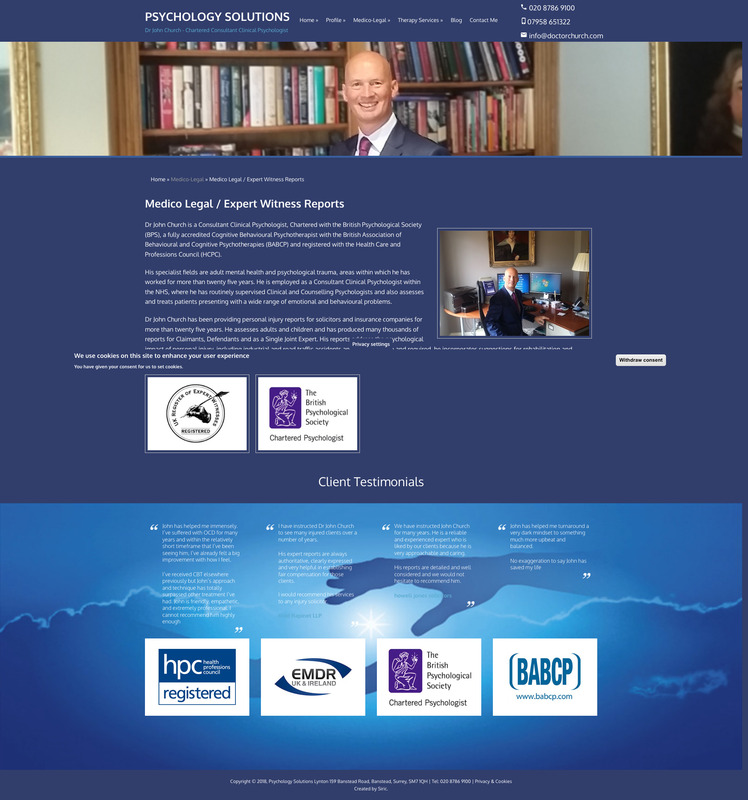 Although he had created a website for the practice quite early on he hadn't had the opportunity to revisit and update it. 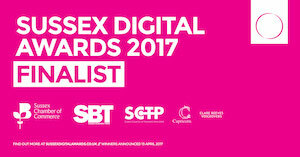 Accordingly his brief to Siric was to create a professional yet dynamic site using the latest technology. The site had to reach both medical and legal professionals as well us individuals seeking treatment. 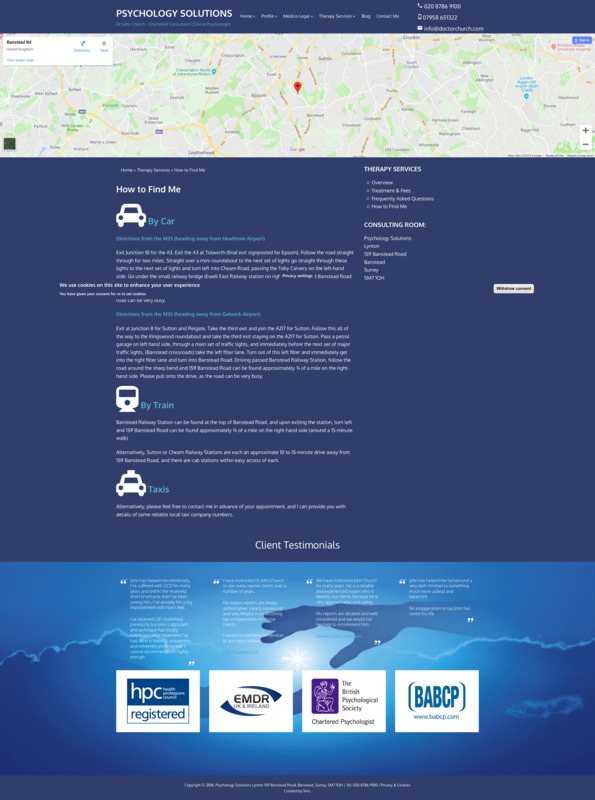 Our solution was to utilise the colour palette from his corporate logo as a basis for the design and develop a layout that filled the screen on whatever device. Using the Drupal CMS as a basis allowed us to categorise and present the wealth of information Dr Church wanted to convey in a logical user friendly way. 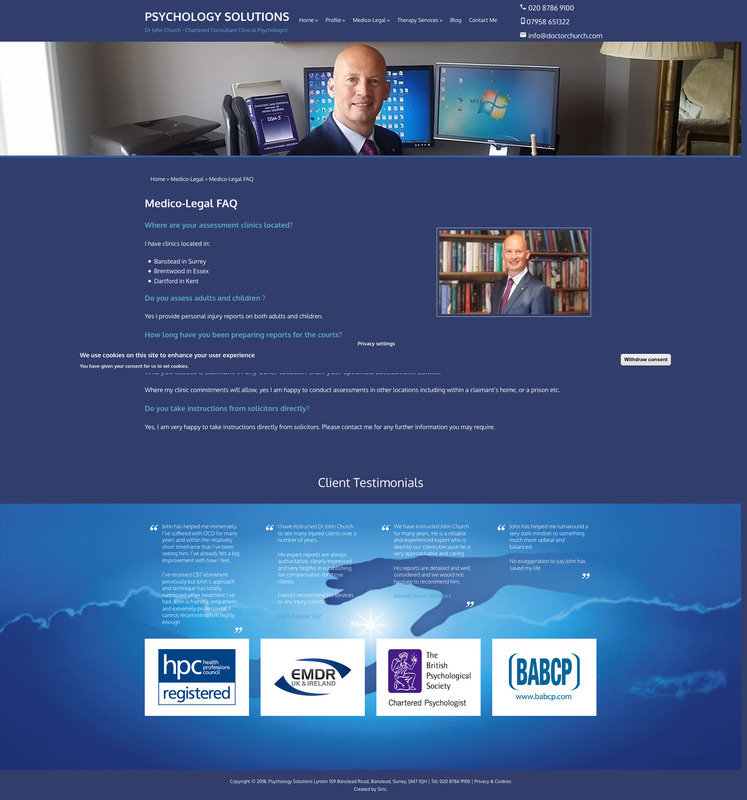 In addition we were able to create a bespoke interface to allow Dr Church to post and manage content on the site himself.